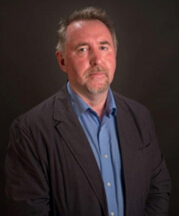 Kenneth Christie is a political scientist, author, editor and international academic who has taught and conducted research at universities in the U.S., Singapore, South Africa, Norway and Dubai. Working all over the world has given him a unique perspective on peace, development and human security. His work has focused on issues of human rights, security and democratization. He is widely published as an author and editor with eight books to his credit. His most recent book, America’s War on Terrorism: the Revival of the Nation State versus Universal Human Rights, was published in 2008. Today, he is working on issues of religion, ethnic and state formation/failure in the Middle East, North Africa and South Asia. He is head of the Human Security and Peacebuilding program.